I always believe that the stars had a big influence on our lives. Just as well as our horoscope gives meaning of who we are but it doesn't necessarily that we should rely our hope and dreams on it. But isn't it just nice to know what good things will happen to our future even no body could really determine what lies ahead of us. I have known some physchics in the past, they say they can somehow predict my future, that I would finally see the person i have been wanting to see in my life. It did happened and i guess, she was also right when she says that it was not a beautiful moment but full of tears and pain but that is what I have expected all alone but not the idea of seeing her at the wake of my own brother. Just as I always believe, life is what we make of it. 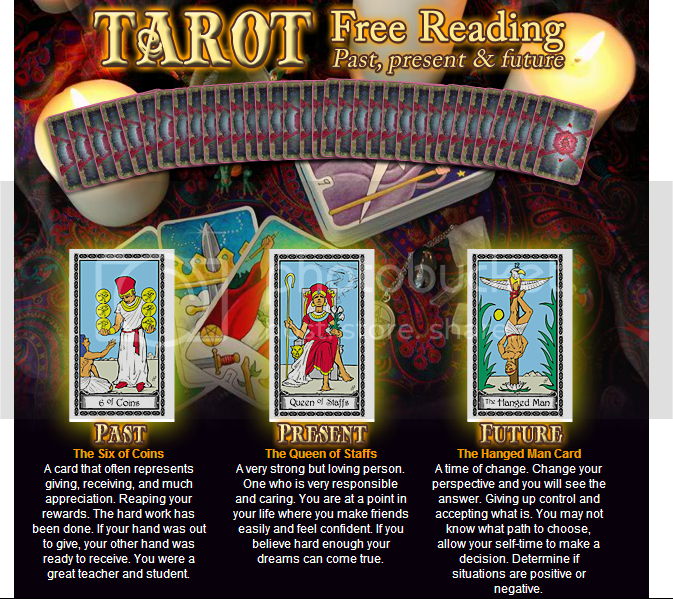 Tarot or psychic could not fully determine what you will become but it can guide you somehow. If your looking for someone who could analyze your dreams or read your future, there's an online site that you can answer your questions, questions that ordinary people like your friend or your mother could not answer. Dreams had many meaning and learning what it wanted to tell us, would be nice especially if that dream is somehow shocking. Just remember that whether it was good or bad reading, our lives still depends on how we see it. If we attract positive ideas, positive will come but when see our life on a negative aspect, negative things and bad omens would definitely succumb our life. Doing good to others, respecting different ideas and preparing for good future is always the best thing to do. when i was young, i learned to read ordinary deck of cards. though i did it only to entertain, i was shocked to find out the interpretation of the cards were true. i stopped doing it altogether and eventually forgot it..